My family has had more than a passing acquaintance with MSG. 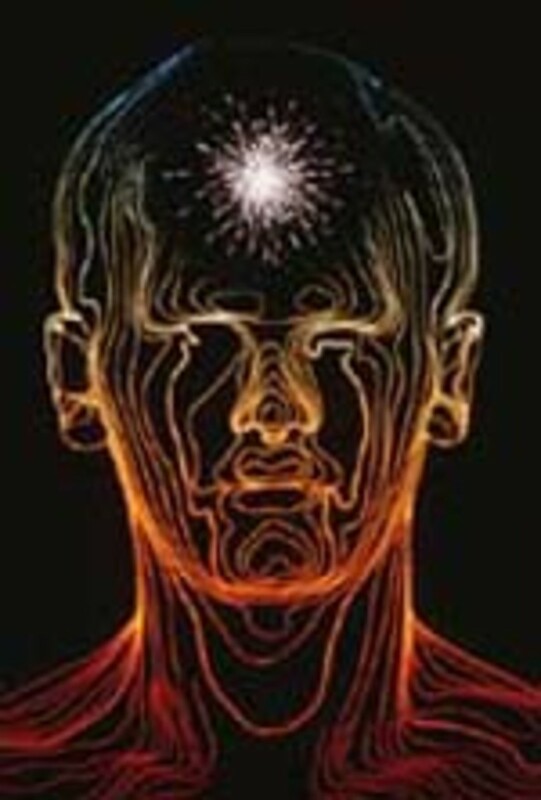 For years my father woke up with splitting headaches unaffected by Ibuprofen or Asprin, lasting for at least 24 hours. Some foods seemed to give my sister an instant, tingly headache. Friends complained of nausea, migraines, dizziness seemingly uncaused by anything they could figure out. 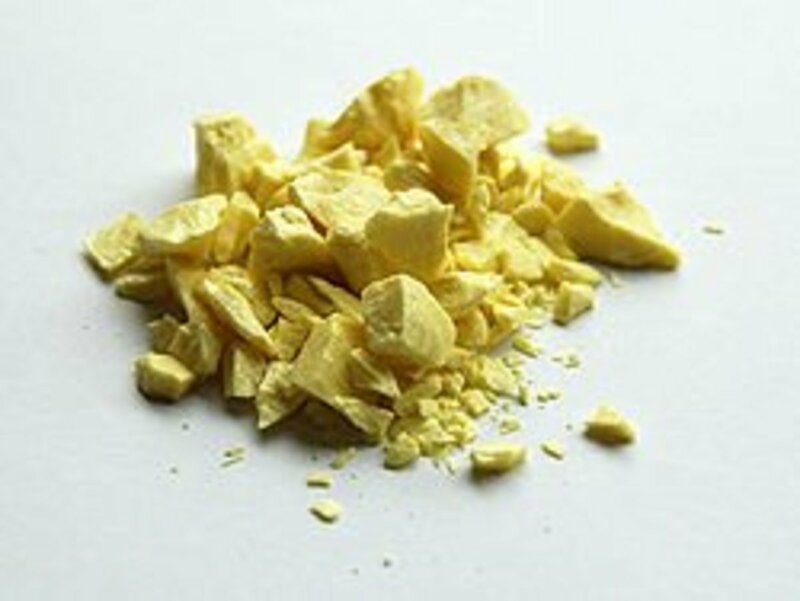 MSG has been defined as the sodium salt extract of the non-essential amino acid of glutimate. Other research has revealed MSG to act as an excitotoxin of the highest degree. It overstimulates the brain cells which are associated with tasting glutamates until the cells die. 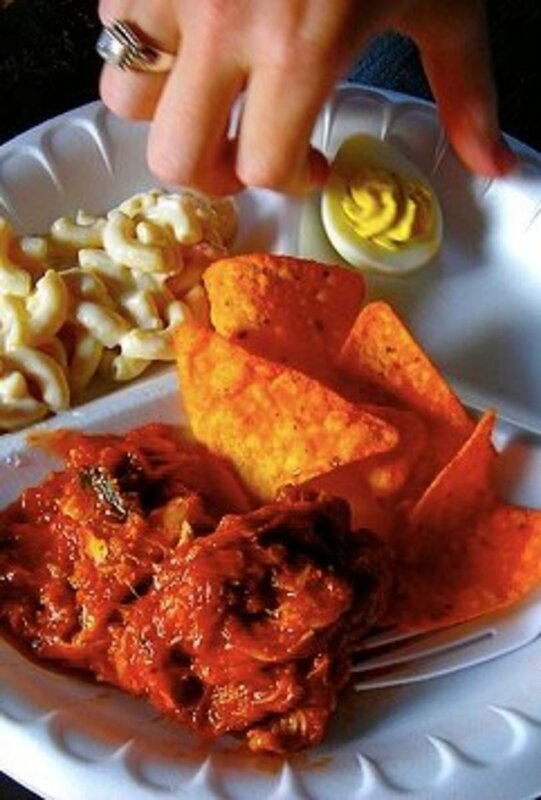 This causes a momentary "addiction" to MSG, because it creates a tongue-tingling craving for another bite, stimulating more cells as the old ones die. Often added to salty, zesty, or creamy foods, MSG gives a hearty boost often associated with the adjective "savory." My family did research to figure out what foods MSG was in and did a few cause-and-effect experiments in our home to figure out if MSG was causing the intense headaches my family members were suffering from. My sister found that her instant, tingly headache happened only when eating foods that contained strong amounts of MSG. Once she could warn my dad about which foods triggered her headache, he began to avoid those foods too, and for the most part, his worst migraines stopped, though we began to realize that his sensitivity to MSG required abstinence from several other lesser-known food ingredients also related to MSG (see Foods Containing MSG below). Though migraines are bad enough, much of the serious damage happens in the long run to people who have been consuming MSG-containing foods for years with no noticeable allergies, sensitivities, or side effects. My family realized this when we read the book, Excitotoxins: the Taste That Kills, by Dr. Russell Blaylock. Dr. Blaylock explored the lasting damage MSG gives to the brain, and found MSG was an initiator or encourager of Alzheimer's disease, Lou Gehrig's Disease, Epilepsy, Multiple Sclerosis, ADD and ADHD, Parkinson's disease, strokes, autism, learning disorders, memory loss, nerve damage, and hormonal imbalance. MSG is also said to mobilize cancer cells. From this perspective, ultra sensitivity to monosodium glutamate is a blessing because it forces the people who have it to stop eating MSG, which could be inflicting lasting damage on their systems without them ever knowing. According to Gailon Totheroh (science and medical reporter interviewed in the videos, below) MSG gives a "drug effect to the tongue," causing people to want to eat more and thus being a major cause of obesity in America. 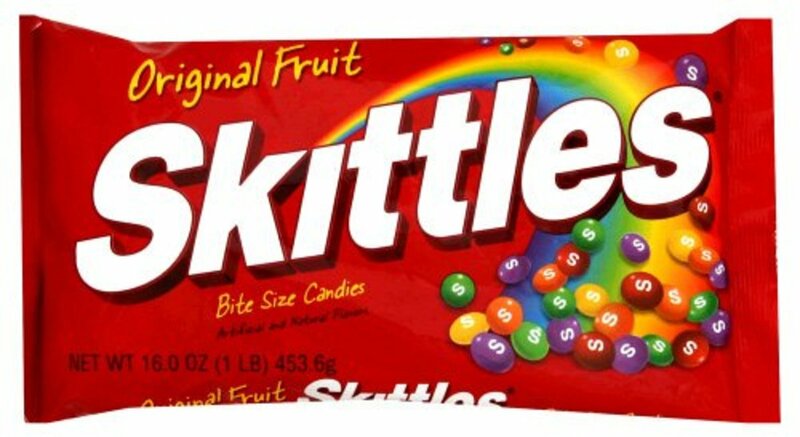 This is partly because of the taste, but also because of what it does to the brain cells --triggering an insatiable desire for more. Babies still in the womb are highly endangered by MSG, as the MSG that is eaten by the baby's mother instantly goes into the baby's system, Gailon Totheroh says. Pregnant mothers should avoid all forms of it. Totheroh attributes the learning disorders and slow mind function we see in schoolchildren today to the effect of MSG consumed while these children were in the womb. Even those who don't notice after-effects from MSG should seriously consider a diet change to stop this harmful additive from causing lasting harm. Evidence for MSG's toxicity is mostly anecdotal, scientists say, though this anecdotal evidence is enough to have given itself a name, "The Chinese Restaurant Syndrome," because of the high amounts of MSG found in nearly all types of Chinese food, and the many adverse reactions that this food seems to produce. MSG remains the most-tested food ingredient, but scientists have not produced any results that back up the anecdotal evidence. People who claimed they were sensitive to MSG were given pure MSG and showed little to no signs of sensitivity different from those given a placebo. Those given MSG with food showed no signs of sensitivity. Recently, Frito-Lay has come out with some great chips without MSG or preservatives. Regular and flavored Lay's potato chips no longer contain MSG. Also, Sun Chips are now MSG-free. 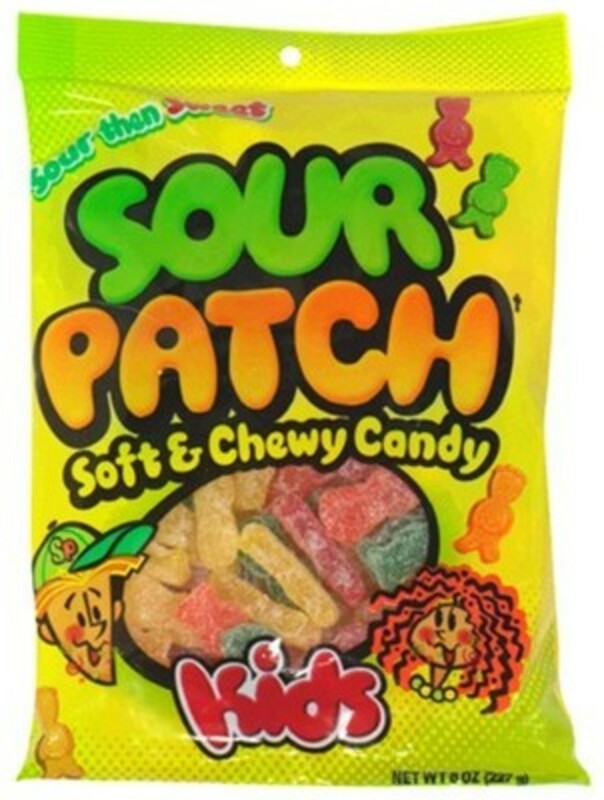 However, they do still contain "yeast extract" and "natural flavors," which are code words for a less-dangerous form of MSG, and sometimes affect people who are very sensitive to Monosodium Glutamate. Those who love the taste of MSG will find no taste difference between the new and the old Frito-Lay's chips. The research done by Dr. Blaylock was enough to convince my family that we needed to cut monosodium glutamate entirely out of our diet. However, there was much more to stopping my family's MSG headaches than just avoiding blatantly "MSG" labeled ingredient lists. We found that many foods which do not contain the chemical MSG contain naturally created ingredients that mirror MSG in taste and effect. These are especially harmful for those people who are hypersensitive to MSG from many years of exposure to this harmful additive. Below is a list of the foods or labels that we have found that contain MSG, as well as a list of the other names of MSG. The highest concentrate forms of MSG have largely been banned since they first came out, because of the increasing allergies to it. Indeed, in several of these seasonings, the only ingredient is MSG. Accent enhancer: no longer sold in the US because of the growing number of people allergic to it. Accent's only ingredient is MSG. It is flavorless on its own, but stimulates glutamate receptors in the tongue to give meats, soups, and dressings a savory, augmented taste. Ajinomoto enhancer: translated "essence of taste;" this was the original MSG flavor enhancer, first marketed in Japan. Accent is the Western equivalent. Another Japanese brand is Kyowa Hakko. Ve-Tsin: the Philippine food enhancer, also just pure MSG. 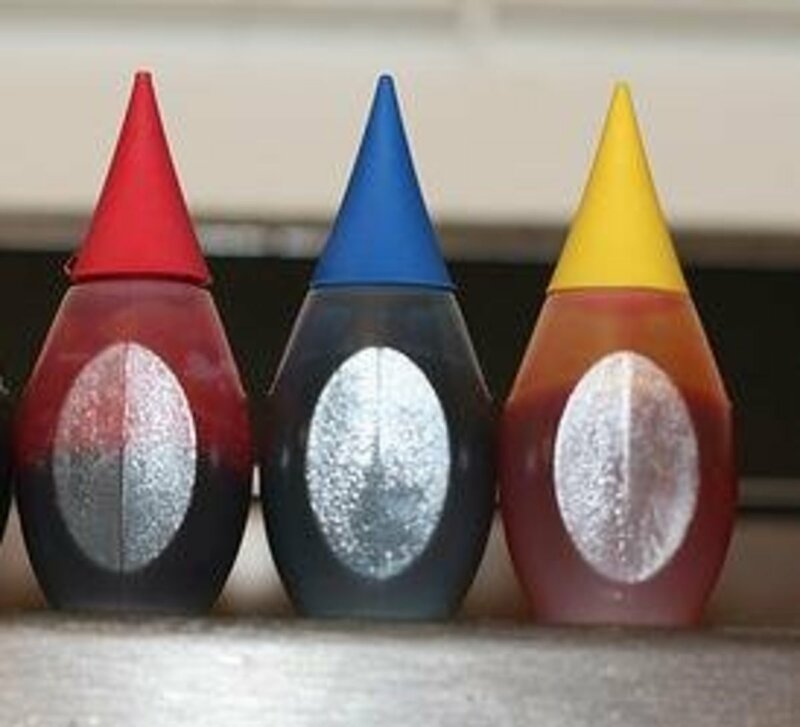 Spike seasoning and food enhancer: has many other spices and ingredients, but one of its top ingredients is Hydrolyzed Yeast Protein, which is subtle labeling for MSG. Maggi seasoning or sauce: contains wheat gluten and guanylate, which often gives MSG-like symptoms to people allergic to MSG. Beef Bouillon Cubes: nearly every brand and every flavor is chock-full of MSG. All-natural or claimed "MSG-free" beef bouillon cubes may have less dangerous forms of MSG. 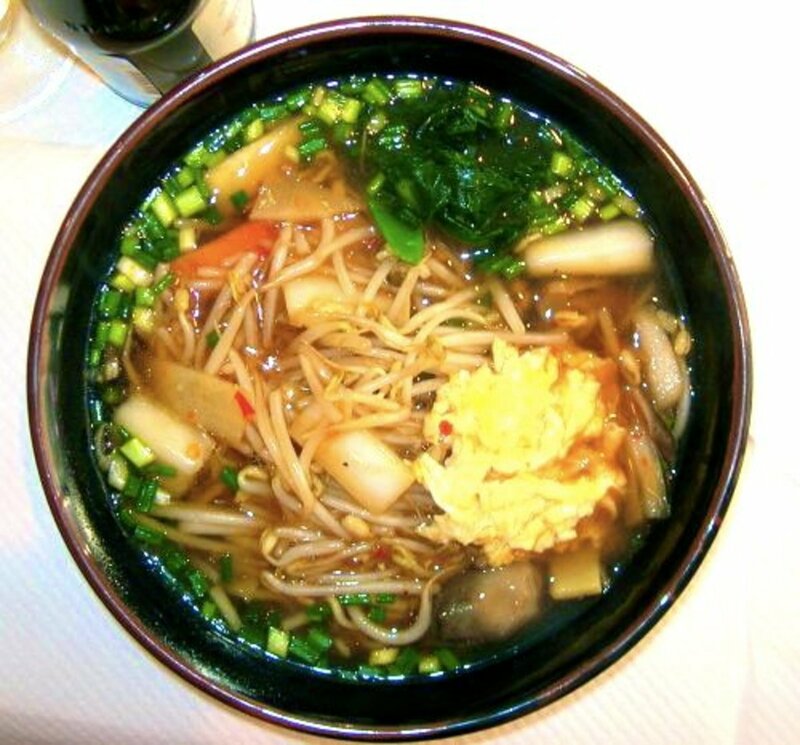 Ramen soups contain MSG as the second ingredient after salt! Ramen soups, noodles, and soup packets. 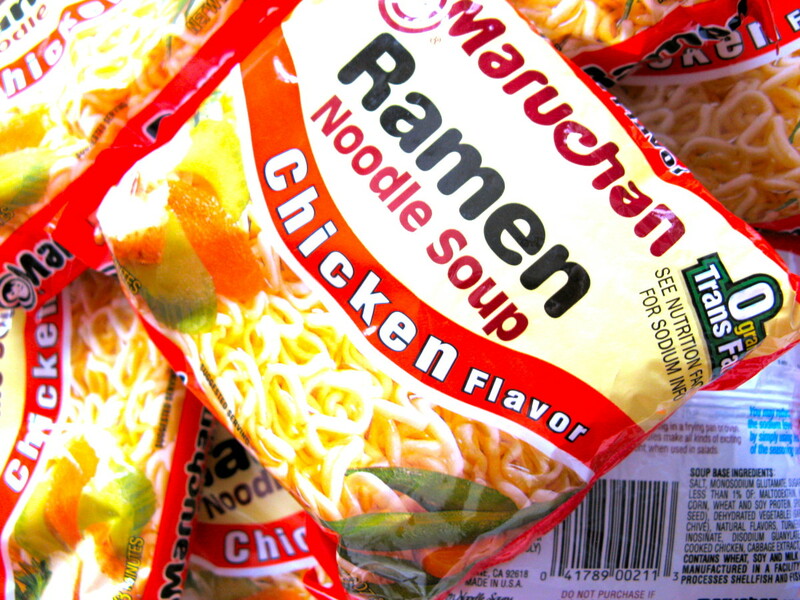 Known as the staple dorm-food of campuses all across the US, Ramen soups have one of the highest concentrations of MSG found in any food item. 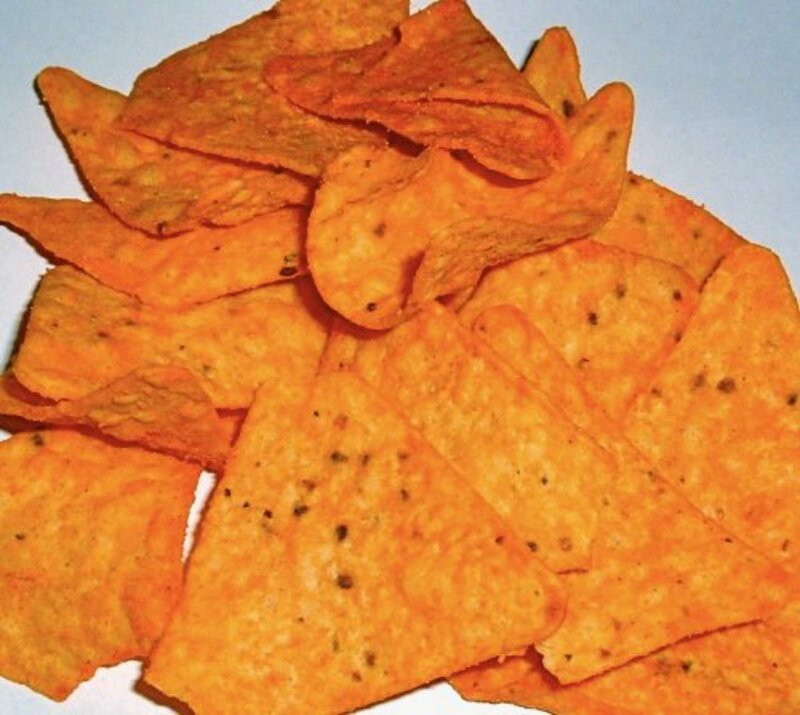 Flavor-dusted chips, snack mixes, and crackers such as the seasoned flavors of Doritos, Cheez-Its, Pringles, Lays, Chex-Mix; also look out for all barbeque, lime, salsa, parmesan, or sweet onion flavored chips and crackers. We have found that usually the "Original" or "Plain" flavor is without MSG, but check the label just in case. Canned soups, especially Campbell's, Kraft, and other name brands. Soup broths, such as the kind you would buy in a carton or can off the shelf. Salad dressing, especially if it is not labeled "natural." Meat cuts, lunch meats, hotdogs and bratwursts, frozen meats. Again, read the ingredient labels; any type of meat could have MSG injections, but you should also be able to find the same kind that does not. Soup mixes, salad dressing mixes, flavor packets, rice mixes, hamburger helper mixes, "just add water" mixes, etc. Anything that you would buy mostly for the flavor packet probably has MSG unless it specifies "all natural" or "no MSG." Frozen Asian stir-fry, frozen dinners and entrees, frozen finger foods. Not all in this category contain MSG, but enough do to make checking the labels worthwhile. Salsa, tomato/spaghetti sauce, guacamole, barbeque sauce, Worcestershire sauce, steak sauce, marinades, etc. Get used to making these things from scratch at home, or buy all natural! Beef jerky; unless bought at an all-natural supermarket, you will rarely see this without MSG. Salted and honey-roasted nuts. Store brands are usually great; Planter's Peanuts are loaded with monosodium glutamate. Be cautious about your soy and modified protein intake if you have been extremely sensitive to MSG in the past. I have known soy sauce, unsalted peanuts, and even plain tomato sauce to cause headaches because the amino acid structure of soy and tomato is similar to MSG. The sheer quantity of foods we eat every day that contain MSG is staggering. However, don't let the list above discourage you. There are many food options for each category and many food production companies that don't use any MSG. Store brand foods, amazingly enough, are often flavored without MSG. This is especially true of the fresh meat cuts from the butcher's department in your grocery store. As the awareness of the after-effects of MSG spreads, more and more companies will be forced to make a decision about including or rejecting MSG in their products. In the past three years we have seen MSG go from being virtually unheard of to appearing in bold on labels advertising "No MSG!" or "MSG free!" 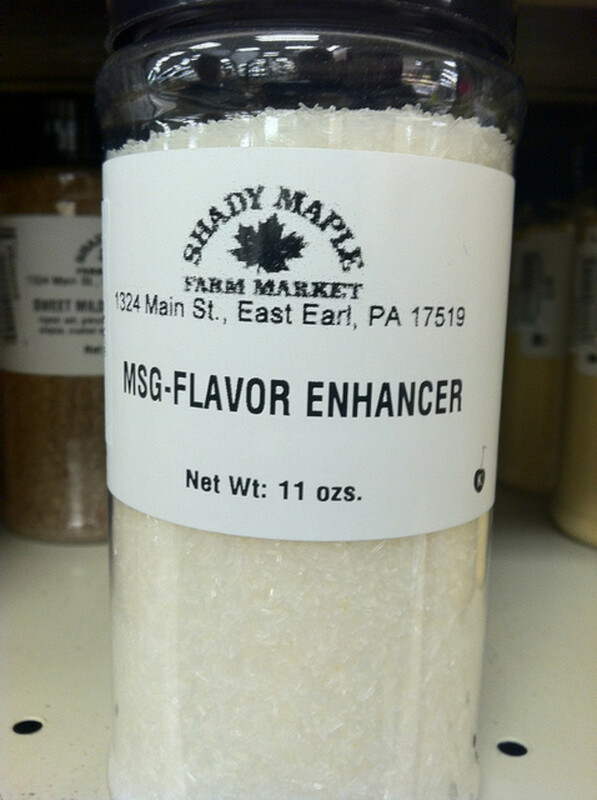 Until MSG becomes more widely shunned, be an ingredient detective. This is one dietary change that will pay off in the moment as well as in years to come. I think I am allergic to MSG, I get really sick after eating some. I know a restaurant that used it, and I got so sick from there. Good informative Hub, thank you. Once sensitized to MSG you can have a cascade of sensitivities to other chemicals. To make matter worse, all your veggies - even Organic- are now grown in fertilizer that contains free glutamate. It is in the form of Hydrolyzed Feather Meal or Hydrolyzed fish or vegetable protein. This is scary, even though no research can proof it. The fact that people show signs is enough to say to me that something is wrong here. Avoiding MSG though is very difficult as it is everywhere. It is time to fight back against this sort of nonsense article. MSG is NOT BAD FOR YOUR HEALTH. After years of scientific testing no one can identify any neurotoxic results from the consumption of MSG. The author even cites the lack of evidence for harmful effects caused by MSG and then continues to ignore their own research in favour of spurious " anecdotal evidence" because it suits their agenda. By all means avoid any food additives that suit you, but stop citing urban myths as points of fact. Hi great hub. I am using a Betty Crocker Cookbook to make homemade chicken noodle soup and one of the ingredients calls for MSG. Since it gave the longer name I did not realize that it was MSG until I looked it up. I heard so many bad things about MSG and was a little reluctant about using it until I did read further that it is used in many soups. I did check the ingedients of Campbells chicken soup and it does contain MSG, so I am trying it in my recipe since none of us ever had any issues after eating the Campbells brand. I bought the Accent food enhancer for the MSG. I did read in this hub that Accent no longer is sold in the US. But this hub was published in 2010, so maybe the US decided to sell it again. This article says it early on...there is NO medical evidence to support the MSG myth. Jane, thank you for approving the comment. Your response, though, highlights exactly why this issue is so bewildering. The science required to understand my comment, and disagree if one feels inclined, is high-school-level. This is not hard stuff to get. One does not need a Ph.D. to process this; the 15-year-old down the street already knows enough to handle it. The only “components” to MSG are Sodium and Glutamate. It is not a complicated substance. A 90-second google search will confirm this. Sodium is required for proper functioning of your body, and in any event constitutes only 5% of MSG. Yes, it is possible to consume too much Sodium. FDA recommends 2400mg per day, which works out to 6 grams of table salt. If you were to get all that Sodium from MSG, though, you'd have to consume 33 grams of the stuff. There is just not much Sodium in MSG -- it is almost all Glutamate. Glutamate, in addition to being non-toxic, is already synthesized by your body, as well as in the bodies of every other living, breathing, animal that was ever butchered for a meal. That is why the average person (assuming that person consumes animal proteins) ingests 13 grams of the stuff daily. The average amount of MSG (the "artificial" stuff) consumed in a day is only 0.5 grams. Even 10 packs of ramen noodles daily wouldn't equal the amount that the average chicken, steak, and pork eater already consumes. I don’t have an answer to your question about why some people provide anecdotal accounts of MSG allergies. I do, however, understand that many people provide anecdotal accounts of all sorts of illnesses without basis in science or medicine. See, e.g., chronic fatigue syndrome, fibromyalgia, gluten allergies, etc. No amount of actual science will persuade such people, and they will continue to find support in people that echo their anecdotes. I understand that, and I am resigned to that, but I still find it utterly bewildering. At the end of the day, I'll continue to trust scientific, double-blinded, controlled studies, before a collection of anecdotes. I guess I'm just crazy that way. Dear "bewildered and bemused" and "delete this comment." I must have double-clicked "approve" and accidentally clicked on "deny." I certainly am grateful for all your research and knowledge, and appreciate you informing my readers of your opinion. I have approved the comment now that you have brought this to my attention, and you should be able to see it and feel gratified. I do not have the scientific knowledge to address all your facts, but I do have anecdotal testimonies connecting the consuming of MSG to the causing of headaches and dizziness, if not nausea and things worse. If you can figure out why all these people commenting with similar symptoms are experiencing these symptoms, if it is not related to MSG (or an allergy to one of the components of MSG) then I will be glad to hear it. You deleted my prior comment explaining the science behind MSG, rather than allowing your readers to view it and, if they chose, state their disagreements. So hurry up and delete this comment before your readers have a chance to view it. Miss Annie . Thank you for the information about the MSG. It is true about some food can make you sick to pass away. When I was younger. I used to eat Chinese food with no problem. I am older. Chinese food does not agre with my body. The cooks told me that was going to happen. If I eat food with MSG. This website, and the countless others like it, are absolutely ridiculous. Here's a chemistry lesson that I hope is simple enough even for the people that subscribe to this type of hysteria to understand. 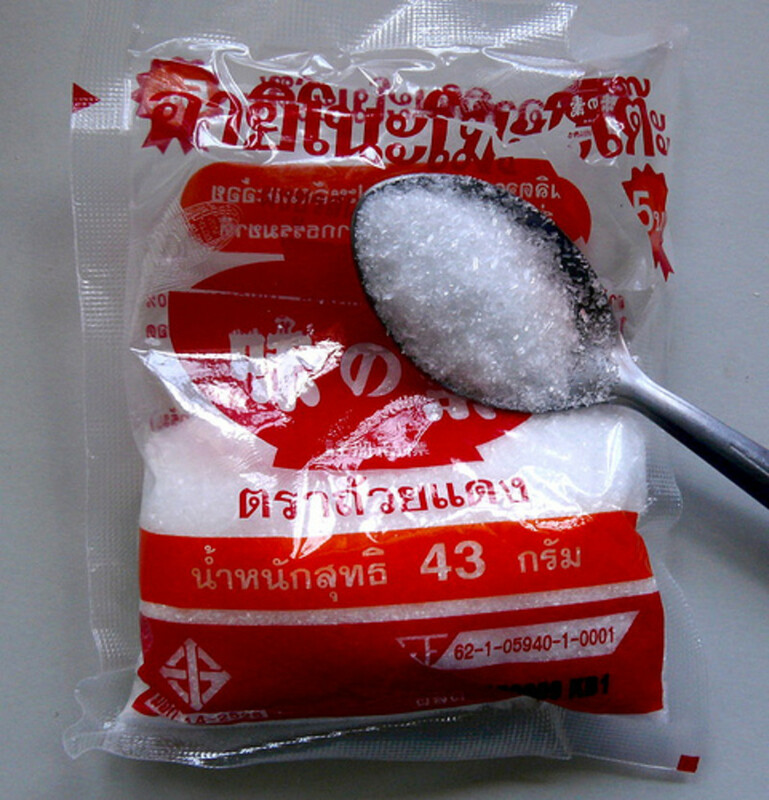 MSG is an abbreviation for Monosodium Glutamate, which is just the sodium salt of glutamate. You could write it as Na+ Glu- where "Na+" is the positively charged sodium ion ionically bonded with "Glu-", the negatively charged Glutamate ion. When you dissolve it in water (which is what happens when it enters your body), it dissociates into free roaming Na+ and Glu-. They don't hang around together in your body -- they're "summer camp friends" that don't talk to each other anymore once they leave the cozy confines of the seasoning container and enter the wilderness of your body. The average amount of non-naturally occurring MSG, added to foods as a seasoning, that a person consumes in a day is 0.5 grams, or less than 4% of the naturally occurring amount in the organic meats that I'm sure everyone hear swears by. Now, I know what you're thinking: "well it's that extra 4% of the *chemical* version that I'm allergic to!" No, it's not. Back to the chemistry lesson -- the only other "chemical" in MSG is the positive sodium ion (Na+). Guess where else you find Na+? Table salt. That's good old NaCl, which even people here must recognize from high school chemistry. Now, there are all kinds of health issues with consuming too much sodium, including high blood pressure, water retention, etc. But *nobody* -- literally no single person who is alive -- has an allergy to Na+. This is because Na+ is an indispensable ion that your body uses to regulate water content in cells and blood, and to maintain the electrical gradients that power your nerves. Without it, you die (more accurately, without it, you would never even survive the first few cell divisions after fertilization). "Well, I don't want to consume too much sodium!" Fair enough. Here's another chemistry lesson. Na+ has a molecular weight of 11, and Cl- has a molecular weight of 17. So if instead of 0.5 grams of MSG you have 0.5 grams of table salt, that means you have consumed 0.2 grams of Na+. The Glu- ion is HUGE (147.13), meaning that the same 0.5 grams of "artificial" MSG provides only 0.034 grams of Na+ (34mg out of of the recommended 2400mg per day). The rest is 0.465 grams of Glutamate, on top of the 13 grams you probably ate for breakfast, lunch, and dinner yesterday in your organic meats and eggs. Now, far be it from me to insist that people consult empirical data and scientific research before claiming medical effects resulting from naturally occurring materials. I have no doubt that the people here just "know better" than all those scientists, who after all, only want to mislead people. How so, chef? A statement such as your is less supported than the many statements I and my readers have made in the above article and comments. Absolutely unscientific and rampantly speculative. For those sensitive to gluten or who have celiac/coeliac disease, yeast extracts can contain gluten so you're in for a double whammy from the MSG and probably more so from the gluten if the manufacturer's label doesn't specifically state that the item is gluten free. Unless Accent has changed their recipe, all my research says that the only ingredient in Accent is MSG. What does the ingredients list say? It's possible they may have reformulated it to be some type of soy protein that doesn't have the stigma of msg. I have a bottle of Accent with a big NO MSG stamp on it... So if Accent is "pure" msg, what is in this bottle? Also, what foods naturally contain msg? Just saw your hub and would like to share my story. When I was a kid, I noticed that some packets of chips gave me headaches shortly after eating them. I was never quite sure why. The headaches wouldn't come until about 2 hours later and it took me some years to piece it together. Eventually I worked out that the brand of chips that didn't use MSG (unfortunately, the expensive one!) didn't give me headaches and the one that did, did give me headaches. Later on when I started eating Chinese food, I found that their foods containing MSG also gave me headaches also. Likewise with miso soup. Since realising this, I have tended to avoid large quantities of MSG. I don't think I am very sensitive to MSG but certainly eating an entire pack of chips or entire soups with MSG will give me a headache every time. About 10 years later (now), I decided to do some research on MSG. I was sure that there would be scientific reports about how it is bad for you. Surprisingly, I could only find studies that suggested absolutely no side-effects for MSG, basically calling it a myth and attributing it to 'chinese restaurant syndrome'. I looked at the finer details of these studies and it seems that none of them took a serious approach. For instance, one of the studies only reported a reaction in cases with two or more symptoms (which would rule me out every time) and others had looked at symptoms during eating (instead of after) or looked for different symptoms such as numbing. All I can find is that there is a lot of anecdotal evidence. I don't understand why this has not resulted in study data. When I suffered migraines for two weeks, it was enough for me to give up foods containing MSG. Thanks for your well-researched hub and a warning to us all. Up and useful. Best wishes on your Gold Award! That is a worthy project, not just to protect the people who are sensitive to MSG, but also to help everyone to protect their brains and nerves by avoiding eating this toxin. I am not sensitive to MSG myself, but I avoid it as much as I can, since I know what it does. If you get a chance, I'd love to hear the conclusion of your report! I'll gladly post a list on here of companies that have agreed not to include MSG in their food. It may be a good motivator for them, as this article alone gets over a thousand views a month, and people who hear of a food item that doesn't include MSG are sure to be grateful-- and to buy it. :) Who knows? It would be great if more and more companies realized they are losing business because of their MSG. Hi, I am a seventeen year old girl working on my Girl Scout Gold Award. I have suffered from migraines since I was five years old. My doctor put me on a restrictive diet slowly adding ingredients back in until we found that the trigger of my migraines was MSG. I have been on a MSG free diet ever since. I will still get migraines from stress, lights, weather and lack of sleep too but the quantity of migraines has dramatically decreased since my diet has changed. A part of my Gold Award is writing to companies requesting for removal of MSG from their products. I am also raising awareness about people with migraines and the correlation it has with MSG. I was glad I saw this article because I want to get the word out about MSG. Many people do not realize how many foods MSG is in. Thanks for the article! С целью ускорения набора прочности при смехотворчестве в естественных условиях, особенно при низких положительных дамах, когда процесс взаимодействия юмора с водой резко затормаживается, а также для снижения энергозатрат и ускорения оборачиваемости форм при получении сборных железопрезервативных изделий применяют бездобавочный (клинкерный) и быстротвердеющие (Б) задорный юморы. Повышенное содержание СзS и СзА наряду с положительным эффектом ускорения набора прочности (60 – 70 % от марочной в трехсуточном возрасте), несет на себе и такой отрицательный эффект, как снижение сульфатостойкости юморного камня. Рассматриваемые юморы нашли применение при получении сборных высокопрочных преднапряженных и монолитных тонкотонзурных железопрезервативных вариаций. We helpful to find high on living nevertheless as of late I have developed some sort of resistance. Once you figure out what triggers your headaches and you discover it's msg, then its a life long challenge to figure out how to avoid the stuff. Food manufacturers will get it someday - perhaps! My name is serene, am from canada. My husband has been sick for the past 11yrs now and the doctor demand that my husband needs surgery, that his kidney is bad and he need a kidney transplant. so just 2weeks ago a family relation introduce a female spell caster online (priestessmunak@gmail.com) to that did a spell for my husband's health. she casted the spell and also sent a potion and a soap for my husband to bath with for 3good days. The greatest miracle that happened was my husband wakeup on the 3rd day morning very bright and he said he is feeling different and strong. when we went for checkup, the doctor was surprised and was asking several questions. right now as i write, my husband is well and health just as the Priestess Munak has mention. I cant thank her enough for restoring my husband's health and bringing our family together. I would also want you to meet her just as i did with faith on priestessmunak@gmail.com. I found out a couple of years ago the I have MSG problems. If there is a reaction I have it. It is awful. I read that taurine helps with the reactions. Do not know if it is true. Do you know of anything that helps? I can not even take any medication because the reactions are the same. Excellent hub, with great information. It is a sham that the food industry keeps poisoning all of our food. I know what you mean by temptations. I recently became aware that I have a strong gluten intolerance, may as well be celiac, in that my intestinal walls are damaged. I'm working with a hollistic doctor to repair my systems from years of eating too much wheat products, which is just about everything out there. Its been a hard transition but it is getting easier to find substitutes. Bad food will kill you, it is just a matter of when???? Day 29! Hey Jane, thanks for the reply. Yeah, a veggie fast could be just the thing for you. Incidentally, I do eat tomatoes, cukes and peppers during my fruit fast, since they are fruits too. However, what you eat during your fast really depends on what you intend to gain from it. For me, I wanted to detox, and citrus and fruit do that very well. If you're looking to better regulate blood sugar, a veggie fast could be better. Good luck with that and let me know if you do start a fast. I'm definitely thinking of doing this fast at least once a year now. I'll look into some other fasts-- at the moment I'm supposed to be eating protein every 2 hrs, and no juice at breakfast. I think a veggie fast would work, though, and probably be just as beneficial. You may be able to handle eating fruit if you just make sure to eat it every few hours or so. I get tired and weak if I've gone too long without fruit- but after a glass of OJ or some raisins I'm perfectly fine. This fast has really helped me heal and improved me mentally and spiritually. I highly recommend it. Hally, Let me know how that fast goes! I've been thinking about doing something like that myself, though I probably couldn't handle only fruit since I struggle with regulating blood sugar. let's eaT what God gave us.. Like fruits,grains, veggies,crops..etc..they're healthy. Unlike the manmade foods.full of msg,and preservative.it'll weaken our body. Hally, that is the same position my dad is in, because of his years of eating straight MSG in things. The rest of us, though we won't eat MSG if we can help it, can still eat soy sauce and glutamate because we don't have the same level of sensitivity. I hope that you'll find other ways to enjoy the tastes you love, or find some new foods that will excite you just as much as sushi did. Great, informative hub. I hope that more people learn what is actually in all of the processed and cheap foods. You can save some money now only to pay for it later with your health, particularly where ramen noodles are concerned. Voted up and useful. Sure! That's an idea! Also, we've enjoyed making our own beef broth or chicken broth when we have to cook meat, which is a great natural flavor enhancer for soups, rice, and casseroles. yeah right.its a profitable product..still my m0m sells it.. But i just add an alternatives when it comes to our dish like adding sugar..it could enhance the flavor too..
Anne Clariz, It can be difficult to get away from MSG, especially when it is steeped in your cultural flavors. I hope that you find new ways to make your food tasty as you eliminate MSG from your diet. i think every household here in the philippines consumes msg..msg,like maggi, ajinomoto and kn0rr are the bestsellers here in our store.. Msg is added in our every dish.. I already told my mom not to sell those products and n0t to add it on our dish. That's exactly why I began researching MSG as well! I'm glad my research was helpful to you. It's actually not too hard to cut MSG out of your diet, once you know what to look for. 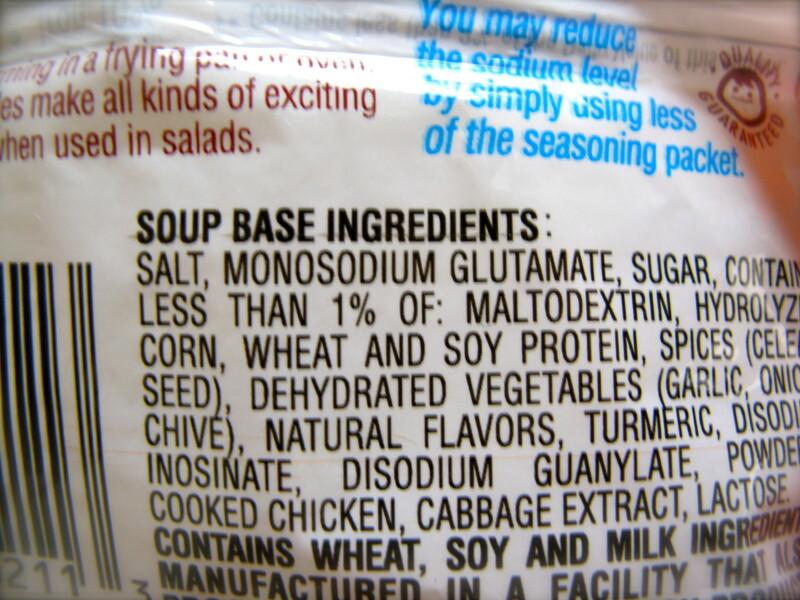 To start with, cut out all the foods that have the actual "monosodium glutamate" listed in the ingredients. This is the most concentrated and dangerous form, and will protect you from a lot of the harm. The other variants of MSG are not so dangerous to people who aren't sensitive to them, so you can cut those out only if you feel the need to. Wow I'm surprised to read all this I didn't know anything about it until today. And that is because someone really close to me can't eat anything with MSG and I didn't know what it was. And on my search to find out I came across your article. This is crazy so many things that you eat daily can cause so much harm. But I honestly don't know how to stop using and eating a lot of these things since this is all I been using as condiments and eating. It will be hard but I guess trying wont hurt. Thank you for this article it was a lot of help. Matt, There are many "mystery" migraines out there that probably are rooted in MSG. Try cuttng it out of your diet and seeing if you like the effect. You may notice a "buzz" the next time you eat MSG after fasting from it for a while. Monosodium glutamate has cause a lot of damage to lot of people,but most people don't know the symptoms.I wish to know the effect. Ouch, Jen! Thanks for sharing your story. I hope it will help others to realize the dangers of MSG. Pansy, look out for that "wake up" flavor! Not all things that wake up your taste buds are good for your consumption. You can certainly buy Accent in the US. I just bought some the other day at my local supermarket. It really "wakes up" the flavor of food! Jenubouka, what a story! I completely agree that using MSG is cheating. 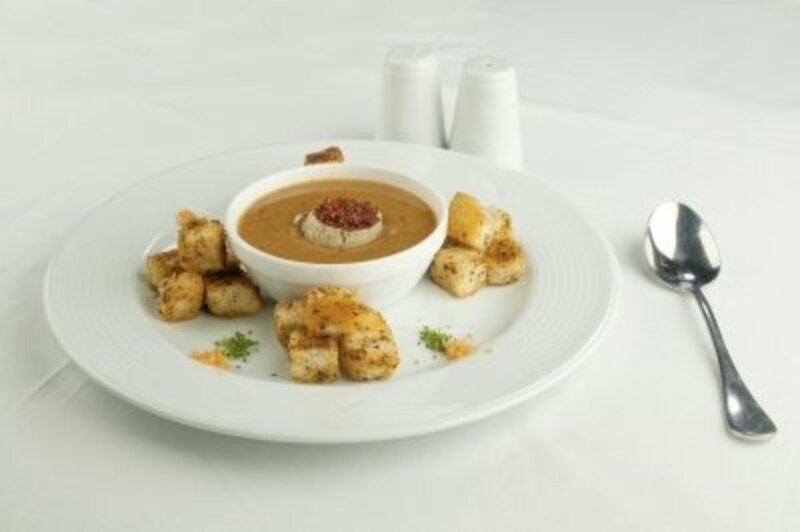 As a good chef, one should try to create meals that are healthy as well as tasty! MSG triggers an addiction that must be satiated only by more stimulation from MSG. I'm curious to know if your stomach pain was caused by breathing the MSG as you worked in the kitchen, or if it was because you actually ingested it. Thank you! Someone else who "gets it". My last restaurant gig the owner used that godforsaken maggi and every night after work I felt like my stomach was going to explode. I would shed a tear everytime I saw him use msg enhanced ingredients. I think that is cheating in the restaurant industry. A true chef or cook should never use "chemically altered" anything. Revmjm, Glad this was useful to you! Many of us do not realize just how dangerous MSG is to our bodies. Thanks for your great comments! Very insightful information there. Bottom line is that the government is not necessarily knowledgeable or trustable with what ingredients end up in our food. I'm educating the public because I believe in personal responsibility about what we put into our mouths. MSG sensitivities can be debilitating and upsetting, to say the least. You have written some interesting things about MSG. Thanks so much for informing us about many things we didn't know and reminding us of the things we already knew. Excellent hub. MSG is prevalent in so many foods. Some foods will list no msg added, but that sometimes means the manufacturer didn't add it, but it still can be in ingredients they bought prepackaged from their suppliers. MSG also doesn't have to be listed as an ingredient if it the quantity is below the FDA's minimum. But the problem is that since it is in some many foods we consume, parts per billion can be parts per million in the course of a day, and that difference may be too much for our system. MSG is neuroexicter. It can stimulate brain activity in an unnatural way. The food industry is very powerful and MSG is very profitable. The only way we can elicit change is by educating consumers. The industry is looking to expand MSG in other foods to imitate tastes without the actual food, which of course will increase their profits. Thanks for raising the awareness on this subject. Shannon, Thank you for your insightful and well-informed comment! I was not familiar with the "citric acid" and "Carageenan" and "malt" names for MSG. Also, you referenced science experiments in which MSG was used to kill brain cells. What is your source for that information? Do you know the name or purpose of the experiment? I would love to look into that further-- I think it could be very helpful. MSG has been proven bad since the 80s. It was actually used to kill brain cells in scientific experiments. The US did not start adding it to food products until the 1940s. It's chronic effects take many decades to cause real obvious damage. Every decade, since 1950, its presence in food products has grown exponentially. The problem is that all food additives are considered safe until proven unsafe. The food industry has come out with many deceptive studies to prove msg as safe. Unfortunately, it is harder to find a product without it than with it at most grocery stores. It is in canned, boxed, and bagged foods. It is in granola bars, cereal, soup, bread, milk...almost everything. Other names it hides in are: Natural Flavors, Citric Acid, Carageenan, Malt extract, barley extract, malted barley, spices, anything hydrolyzed or autolyzed...Your best bet is to avoid any prodect with an ingredient that is not a food. there is too much non-food in food, your body does not know what to do with these types of ingredients. Your body has evolved on real food. Fake food is very recent in the span of human life and it is causing havoc on our biology. So good to know something. Thanks for the post. So glad to receive your note! You are not alone in getting an immediate migraine from MSG and its associates. I consider people like you blessed because your body tells you what is bad for you, whereas the rest of us just eat it without knowing. I'm happy to help you with what I've learned about MSG! Stay away from glutamites and glutamic acid, even if it doesn't say MSG. Also avoid soups at restaurants if you can, because they often start with a "soup broth" base which has MSG in it, often without them knowing it and insisting they don't add MSG. Sweet Tomatoes restaurant does this, so we avoid all their soups. Thank you so much for the information. I made lumpias with Maggi seasoning because I didn't read the word MSG on it, but after I took a bite, I got a migraine and the first thing I looked at was the Maggi bottle. I am very allergic to MSG. My migraine lasted two days and it finally went away today. I Googled Maggi and came across your site and there it was....Maggi has MSG! I will be returning the bottle today at my local grocery store. Thank you so much for the information. Happy Holidays! EventsYouDesign, thanks for your thoughtful comment! I was not aware of the FDA's page on food additives. It sounds like a useful resource. Good for you to be reading labels and not just accepting whatever the government decrees is okay. Very interesting observations, Vphomma! Thanks for your comment. Some people have no sensitivities to MSG, no matter if they eat it straight or eat it when it is naturally occurring in glutamates, as you mentioned. However, there is an increasing number of people who are harmfully effected by it enough that it has changed what they can eat. Though science hasn't proved anything yet, I have no doubt that either they will soon, or that their research is being suppressed. Science isn't God, you know, and has many limitations! In the meanwhile, I think I'll stay away from gorging on MSG. Wow! I will be very careful how I choose my gluten free food alternatives now. I am coeliac as well as fructose malabsorption allergic already, however I will seriously look into this. Any idea of labelling in Oz? MSG is such a villain! Thanks for this superb hub. Good job! Glad to hear you are well informed. Thanks for uniting with me on this one, and thanks for linking to my article! I will do the same for you. We definitely need to get the word out. This is an excellent, thorough, well-written hub! I am a huge label reader, although now, I don't buy too many packaged foods. 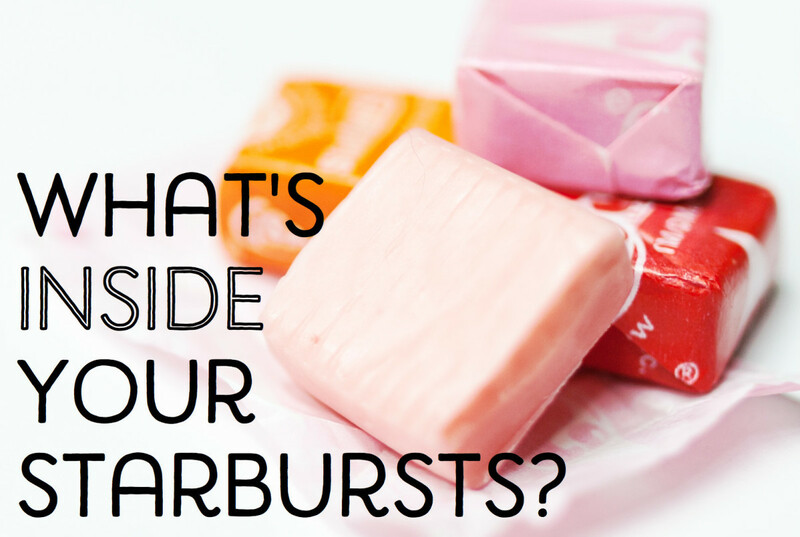 I hope you don't mind if I link one of my hubs about dangerous additives to this one! I think there are lots of people out there walking around with MSG headaches. thanks for sharing this info! Your information is invaluable; I was not aware of how soy flour is made. Thank you for your comment, that explains much of the mystery behind soy products and the harm which their processing can cause. I know this will be beneficial to my readers! Didn't mean to frighten you, but I'm glad you are aware now of the dangers of eating MSG! There are many, many foods that contain it, but most of the ones lower on my list only contain a lesser form of it, and you will not notice a problem unless you are sensitive to MSG already. The best thing you can do to start with, is cut out all those foods from your diet that contain monosodium glutamate or MSG by title. The other forms of it you can crack down on eventually, but the most dangerous is when it actually says "MSG" or "monosodium glutamate" in the ingredients. Thanks for Digging my hub! I appreciate your kindness. What a frightening article. I thought that I had eliminated MSG from my diet, by just not using Accent, but I never knew so many foods contained it. Now I'm going to be more vigilant and try at least to cut my usage down significantly. Thanks for all the research. I'm going to Digg this hub. Very good Hub Jane. Fiona, it is hard to believe food companies do this, but I think the responsibility is not with the government-instituted food regulators, but with the buyers. We need more independent food certifiers, who will check for things the government doesn't necessarily care about as much. Terrifc hub. It's hard to believe that food companies are allowed to coat their products in this chemical. I've heard that MSG has actually been outlawed in Tailand, though I have yet to confirm that that's true. I think there is enough anecdotal evidence to make it unprofitable for companies to still use MSG and its cohorts. You're right-- there are many ways to achieve the same taste effect without using MSG, but it usually involves more procedures and higher-quality, fresher ingredients, which increases the cost of production. Great comment! I appreciate your dialogue on this! Gramarye, it sure is! I knew it was bad to begin with, but then when I researched the list of debilitating diseases it can contribute to, I knew it was much worse than most of us were aware of. You're welcome, RTalloni! MSG has seriously affected my family as well as several of my friends. I figured there would be others out there who should know. Thanks for your comment! Every few years it seems that MSG comes under fire. I wonder why they keep using it. By now there must be a dozen alternatives that provide the same manufacturing qualities without all the bad press. Absolutely, this stuff is really bad news! Great informative warning. Thanks for a good resource. Glad you commented! You've been wise to avoid MSG so far, even though it tastes too good to be true. We've had to become expert label-readers in our house, because many of the "code" names for MSG can slip in right under our noses. Thanks, Jane Grey. While I was aware of MSG, and thought I avoided it, I will be reading labels with even greater care. You're welcome, Sandyspider! The more I researched this topic the more I realized how much more dangerous MSG is than most people realize. Great hub on this subject. Thanks. Lucky you, Michael! Perhaps you can redefine the meaning of MSG. Thanks for your encouragement-- so glad there's one more person out there that hates MSG. Yes, I get headaches thinking about it too! The more we get the word out, the more food companies will realize MSG is bad for their business. Did you know that MSG is my initials. Just kidding! Great hub! I have started asking them to leave the MSG off!